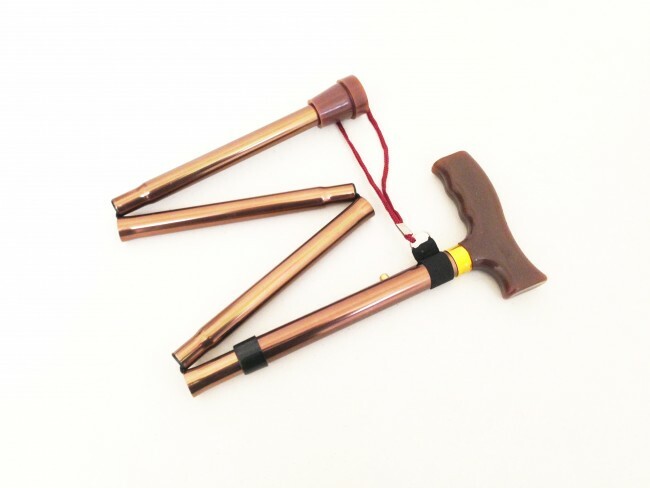 Folding Walking Stick This collapsible walking stick is perfect for storing in tight spaces, and when up, can be adjusted between 81cm and 92cm. This is a lightweight and robust aluminium cane. Quick assembly.